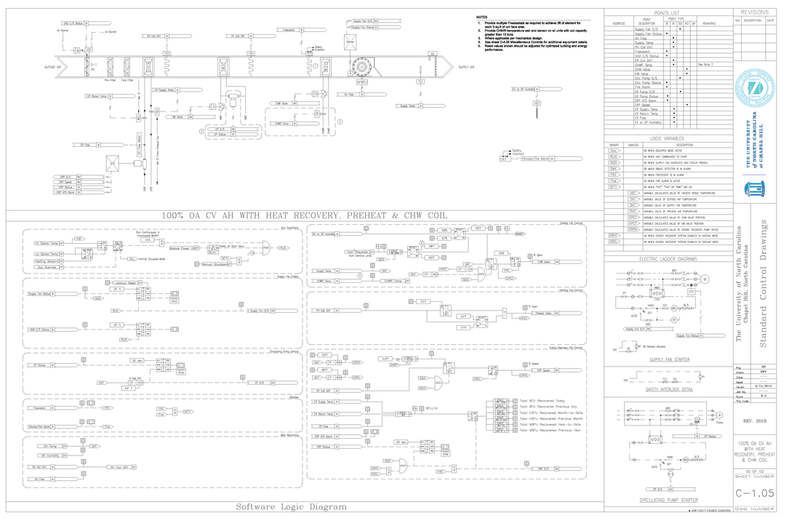 This page contains links to several university control design standards that include both specifications and control drawings that include system and logic diagrams. 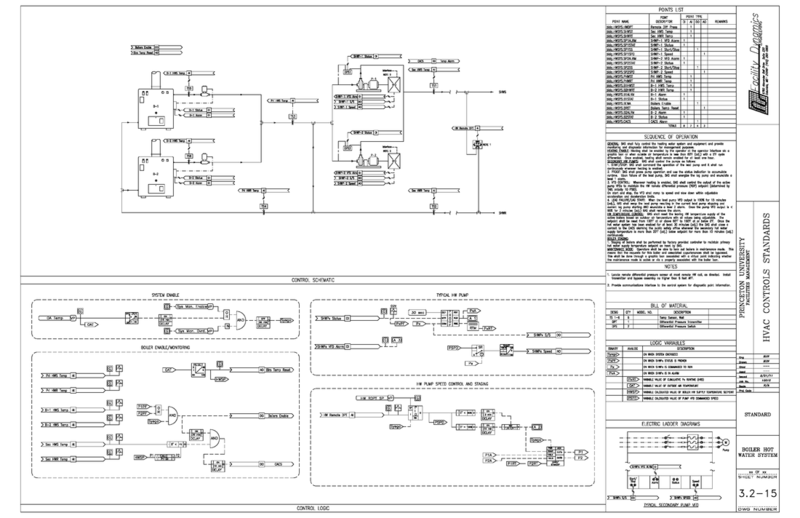 I also plan to add examples of control logic diagrams that are developed with the logic diagram tool we share on the logic diagram tool page as time permits. And, you will find a number of articles that Jay Santos wrote and a few that I wrote about control system design and logic diagram development on our Magazine Articles page. The University of North Carolina has several versions of their standards including the 2016 version available online. You can download a zip file that contains their specification masters and also a zip file that contains their standard control logic diagrams for common system types on the campus. Princeton University has their Design Standards Manual available on line. ​If you page down to about page 3 of the table of contents, you will find the Automatic Temperature Controls and Energy Management System section. ​From there, a link internal to the document will take you to the portion of the standard that has links to specifications in .pdf and MS Word format. You will also find links to drawing sheets with system diagrams and logic diagrams for a wide variety of building systems in .pdf and .dwg format.